The old expression is that good fences make good neighbors. 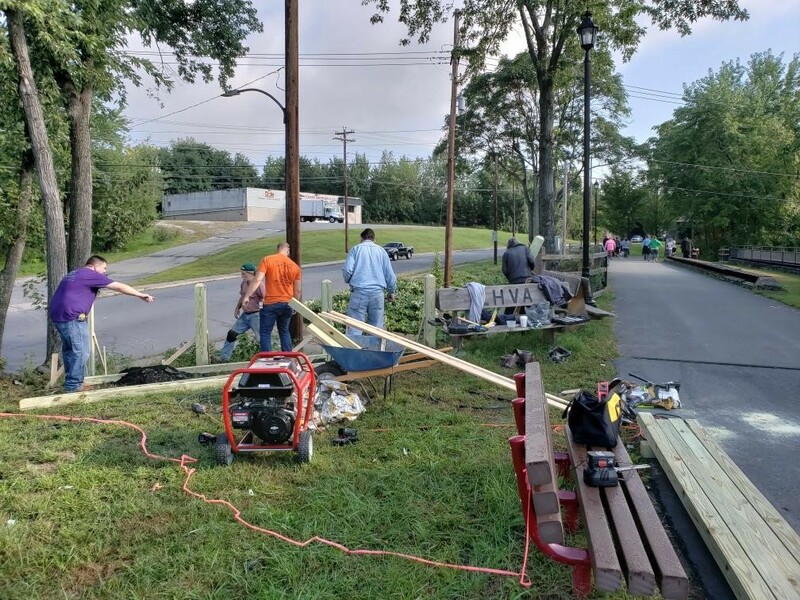 Along the Lackawanna River Heritage Trail, it was our good neighbors from the Local Carpenters Union who constructed the sound and sturdy fencing. 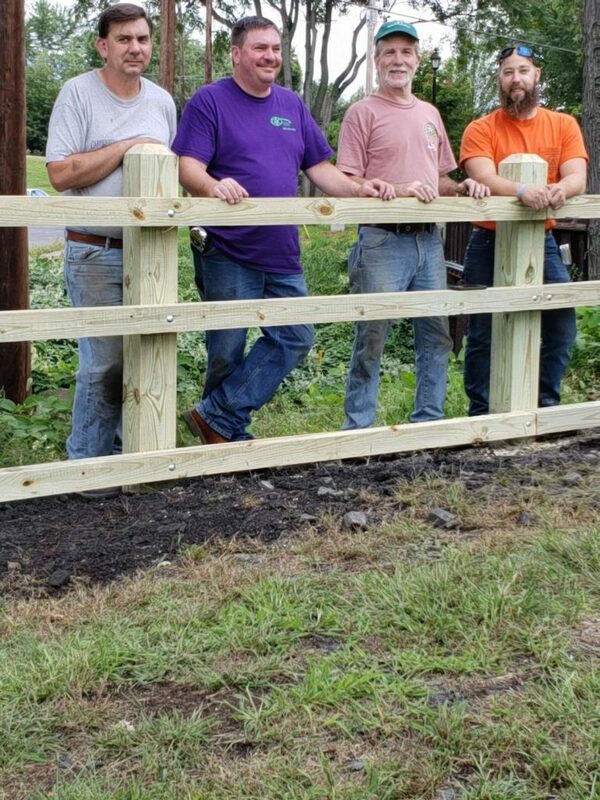 On Saturday, September 29, 2018, four local union carpenters volunteered their time, skillset and resources to construct two sections of fencing along the Lackawanna River Heritage Trail. 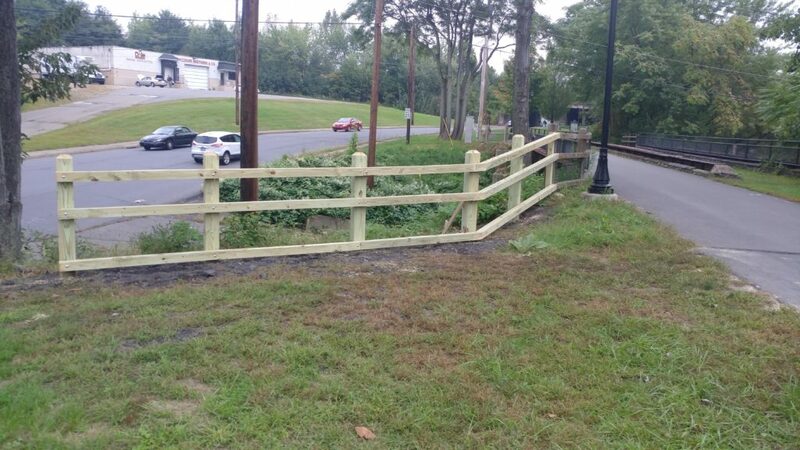 Their efforts look great and strengthen the safety and experience for trail-users in our community. The two sections stand near the Seventh Avenue Trailhead in the Bellevue section of Scranton. 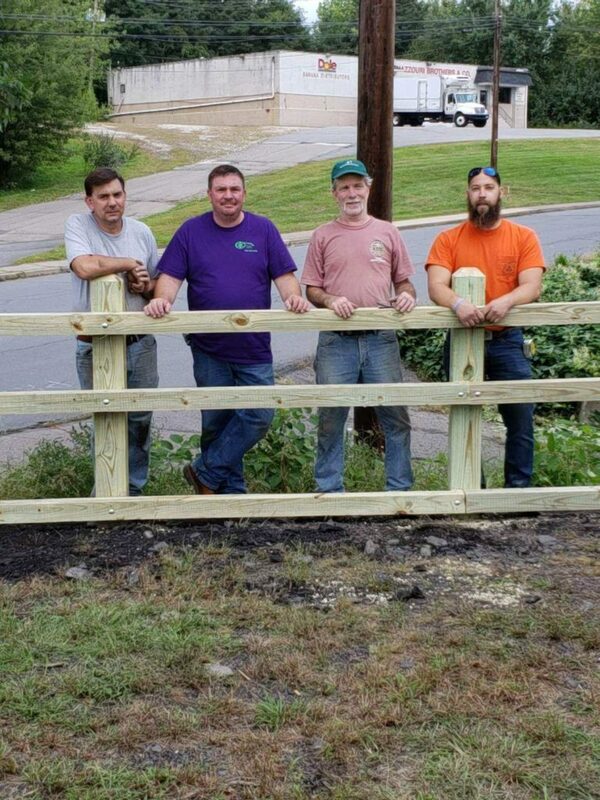 Rich Foley, Dan Clarkson, Joe Spott and Glenn Arthur constructed the fencing, building on the safety and beautification of the Lackawanna River watershed. 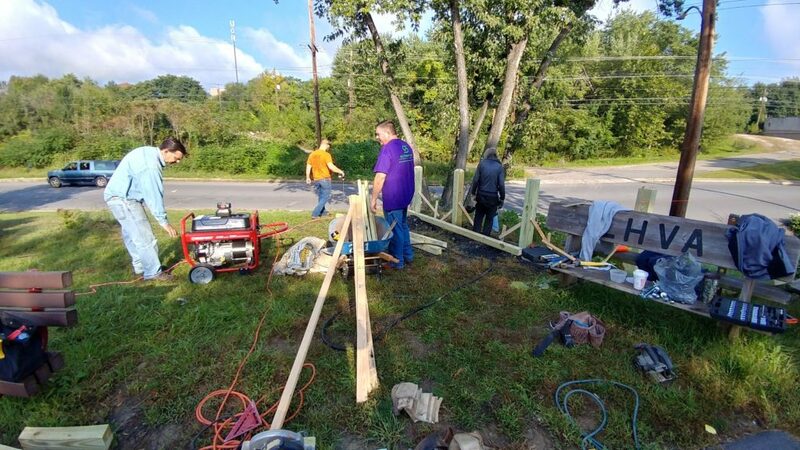 The volunteers are all active members of the United Brotherhood of Carpenters, representing the Keystone-Mountain-Lakes Regional Council under the Local #445 chapter based in Scranton, Pennsylvania. 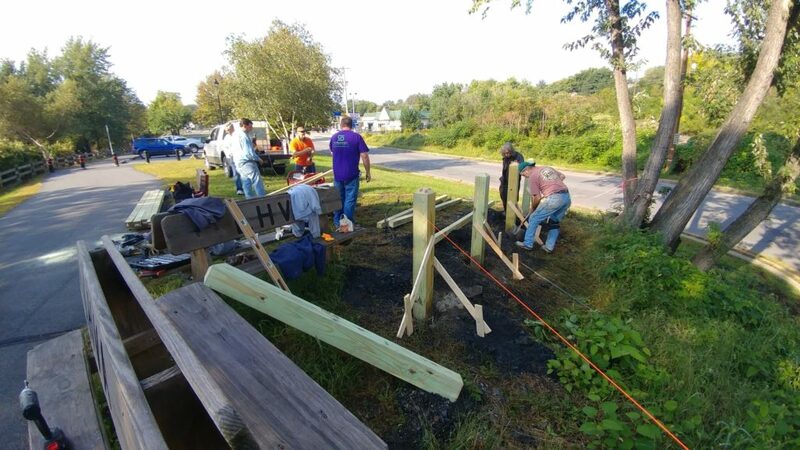 Would you or your organization like to volunteer along the Lackawanna River Heritage Trail? 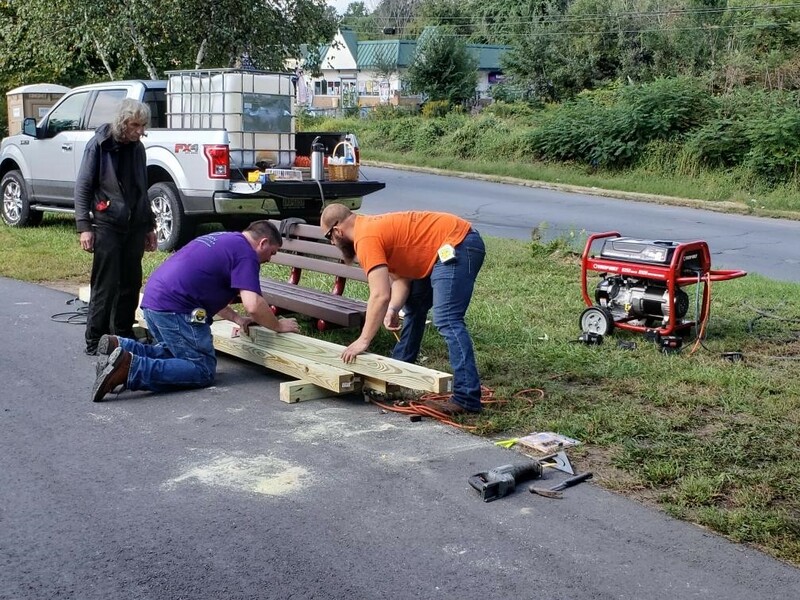 Whether you want to pitch in and adopt your favorite section of trail or use your particular skillset to enhance our region, Lackawanna Heritage Valley would love to have your help. Email Trail and Environmental Programs Manager, Owen Worozbyt, at OWorozbyt@lhva.org, for more information!